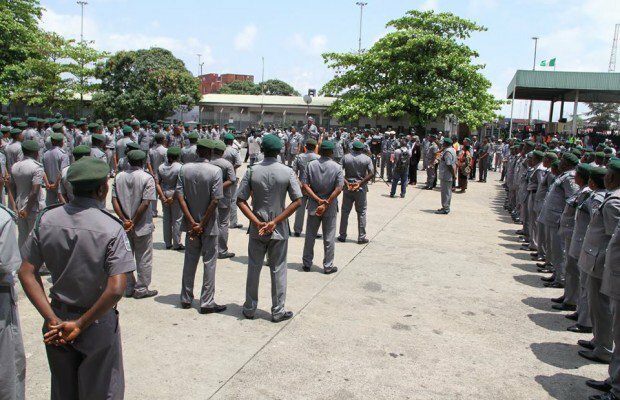 The Customs Area Comptroller of Tin-Can island Comptroller Yusuf Bashar, stated this yesterday in Lagos. “We got a hint that there is a magazine in a used Toyota car 2004 model with Chassis No 2T1BR32E54C309841. “Customs officers isolated the vehicle to give it a thorough checking. We discovered 10 pieces of life rounds called Hornady ammunition with the magazine,’’ the controller said. Bashar said no suspect had been arrested because the seizures were just coming out of the vehicle. He said the seizures were isolated, adding that the command would conduct further investigation to discover the owner of the consignments. “We will hand over the items to the Department of State Security (DSS) for custody of the ammunition because they are too dangerous to be with unauthorised persons,“ NAN quotes Bashar as saying. The command also intercepted another container of used Nissan Armada , 2007 model, with container No- NSCEU718443\6 and Chassis No 5NIAA08A69N709779. Bashar said the vehicle contained Omini American Tactical Rifle No AR48634 and Moasberg American Pump Action with No U648018. He said in addition to these two rifles, it was discovered on examination, in the same container, 3,500 pieces of Premier Hollow point (Air Gun Pellets), and 4,000 pieces of Premier Hollow point (Air gun pellets). “We also discovered nine pieces of military bullets proof vests; one piece of helmet with rain proof, one pistol Punch, one Riffle Punch, a set of military gas masks, 26 packs of military already made foods and two pairs of military booths. This is why we called reporters to inform them because it is about reporting the nation’ security. We must do everything we can to safeguard Nigeria. “An individual is given Nigerian passports to travel abroad, while coming back home but some come back with unauthorised consignments, which will cause pains and havoc to the citizens. Instead of such persons bringing machines and other valuable things. “These items were found in a container of personal effects which government graciously says you should not pay duties and now, can you perceive the way some Nigerians reciprocate the gesture? “ NAN quotes Bashar as saying. The controller said a suspect was arrested in connection with the consignments containing military ammunition, adding that Customs officers had intercepted the container since Nov. 29 and examined it in Nov. 30. He said investigation of the container was ongoing to get more details and that was why the news conference was delayed. Bashar warned travellers who usually bring as personal effects ammunition and unwanted items to desist, adding that it was endangering the society. “These will be about the fifth interception of ammunition since I resumed office in January 2016. “We have discovered 900 pieces of live ammunition, 200 pieces of cocaine worth N2 billion, which we handed over to appropriate agency because we believe in inter-agency collaboration. “We have discovered some riffles with or without bullets, 300 pieces of military caps, some military camouflage and so many other equipment,“ Bashar told NAN.